Customize your instant messenger with this icon set. 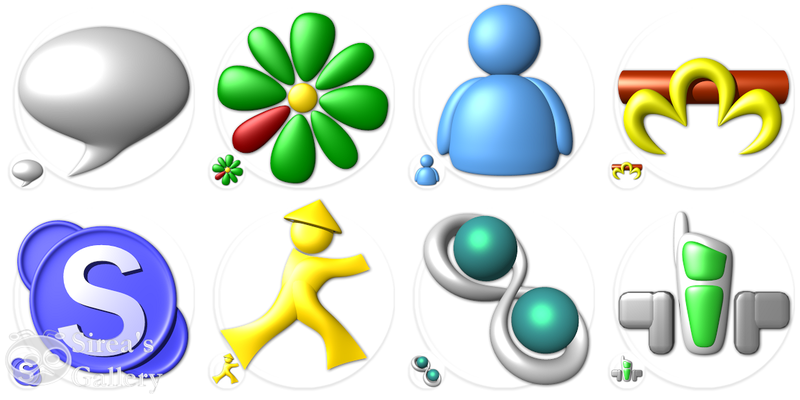 Icons for: Icq, Qip, Google talk, Aim, Skype, Miranda and Live messenger. Redesign in 3D.